This year is the 20th anniversary of the ING Discerning Eye art competition and exhibition - in terms of ING involvement. 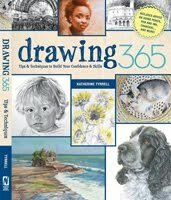 It's developed a good reputation over the years and is one I have always recommended to emerging artists. 2018 marks 20 years of sponsorship from ING, in which time more than 2500 artists have exhibited, just under 10,000 works have been hung, almost £250,000 has been awarded in prizes to exhibitors, and more than £800,000 of art has been sold on behalf of artists. This review is more by way of information for those contemplating an entry next year than those wanting to see the exhibition - which can be seen at the Mall Galleries but closes at 5pm tomorrow. The following are extracts from the archive page for each exhibition and the newsletters. I'd recommend such data should be used in future marketing material for the open entry in 2019. The 2016 exhibition comprises over 700 works by over 400 artists.70% of the artists and 60% of the works are from the open submission. Painting and drawing make up about 70% of the works, mixed media and sculpture about 13%, printmaking a further 7%, and photography about 5% this year. You'll note that there is a major variation in counts of total works and total artists between 2016 and 2017. The 2017 exhibition comprised 465 works by 237 artists. 75% of the artists and 55% of the works are from the open submission. Painting and drawing make up over 60% of the works, mixed media and sculpture about 15%, printmaking a further 8%, and photography about 5% this year. 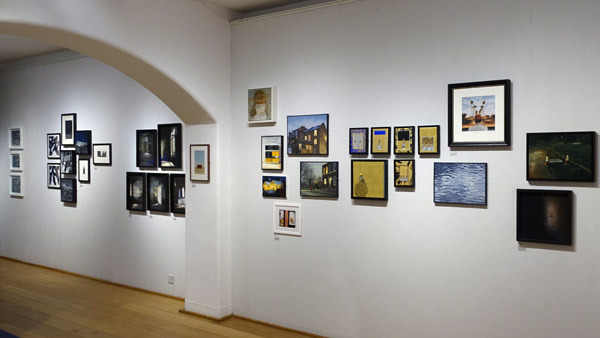 Of the 467 works exhibited last year (excluding those from finalists in the 2017 DE Bursary), 54% came from the open submission, giving 178 artists the chance to hang alongside the 61 artists invited to exhibit by the selectors. 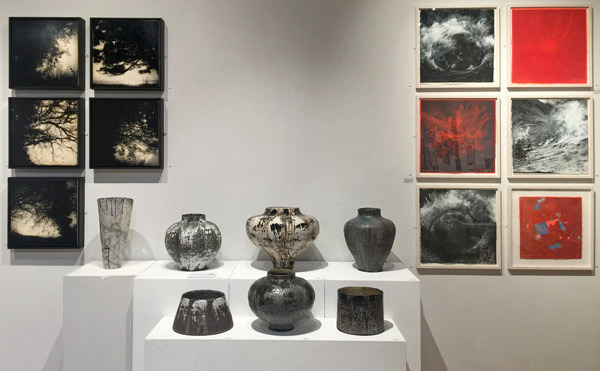 Twenty three percent of all works sold, with just under 25% of open submission contributions selling and 21% of works from invited artists finding a home with new buyers. 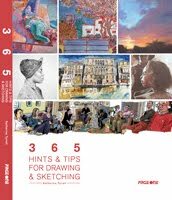 This resulted in 20 of the invited artists (33% of the total) and 54 artists from the open submission (30%) selling their works. 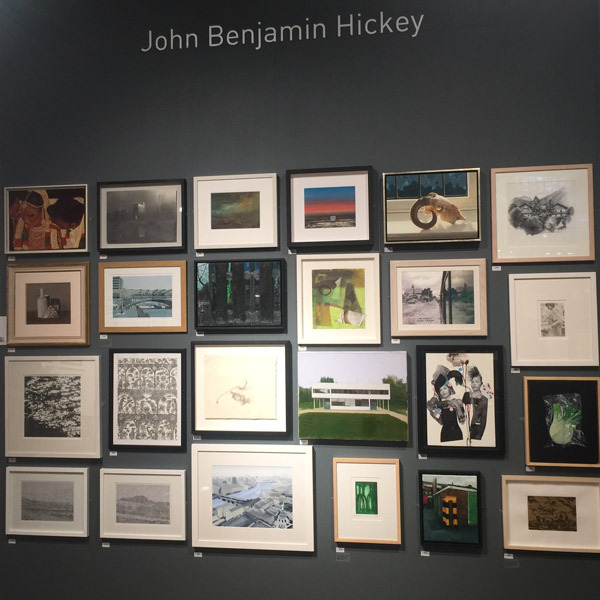 Around 25% of selected artworks from the open entry selling is pretty good going. Interestingly, as of Tuesday, the curator with the best track record of sales of the works displayed was Nick Ross - one of the collector curators who had more than 12% sold. Not Playing by "the Rules"
However somebody trashed the competition's reputation this year in various ways. My guess is this was negligence in relation to treating it a bit too much like an art exhibition and rather too little like an art COMPETITION with rules and conventions! To enter work you must be currently resident in the UK, your work must be for sale, and it must be a maximum of twenty inches (50 centimentres) in any dimension. 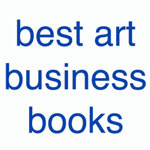 Artists can submit up to six works which can be two or three dimensional using any media. 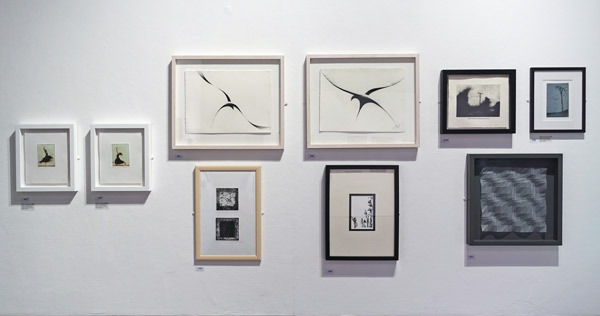 The Exhibition appears to include and display artwork - by Artist Curators and their invited artists - which does not meet the "maximum dimension of 20 inches" rule. The response to my earlier blog post suggests that many agree with me that there needs to be a much clearer protocol about the role of the artist curators and what they can and cannot do. Then there's the issue of digital reproductions..... (see Sadie Clayton below). When I visited on Tuesday, it was the QUIETEST exhibition I've visited in a VERY long time. Mostly people sitting and chatting over a cup of tea rather than looking at art. 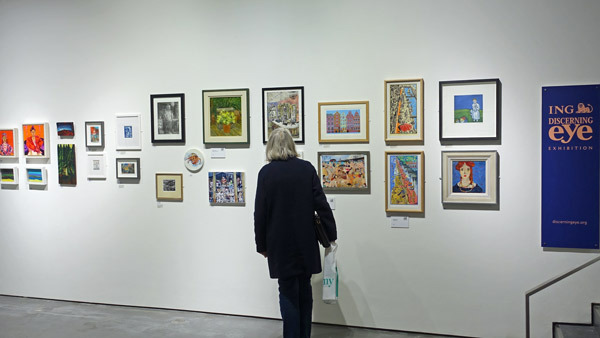 The photos of the ING Discerning Eye 2018 - Artist Preview on Facebook suggest that the artists and their friends and the people invited by the hosts and sponsors enjoyed the PV. Maybe it's improved since then - although my experience is that most visitors arrive in the first few days and during the first weekend - although this doesn't appear to have been the experience this time given the number of sales. However I'd have expected to see more sales than I did. In terms of sales I noticed that quite a few of the sales came in sets - as if invited artists displaying five or six works of art had primed people to come and buy! 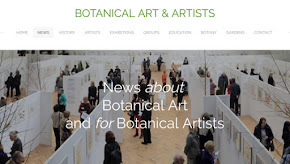 BELOW you can see images of and read my reviews of their individual exhibitions. Sadie Clayton - BA Honors Fashion Design (Kingston University 2013). Her work with copper metal led to her work being shown at both Tate Britain and Tate Modern and featured in Vogue (UK), Harpers Bazaar (US) and other major publications. This was a very colourful exhibition with lots of splashes of neon colours. I very much liked her hang in terms of it tracing a wavy path across the wall - and having suspended items. As of Tuesday 9 works out of 63 works displayed had been sold (15%) - this produced the highest percentage of sales - although she was 3rd in terms of number sold. Three of the sold works belonged to somebody called Florence Poppy Deary (for £20, £35 and £50) whose work was not in the catalogue. I'm wondering if the buyer will kick himself once he realises the the same items are available as prints from her shop - and the bulk of the very affordable price for each of these three works actually relates to the cost of the standard frames (which look very like the ones I buy for postcards and small works in the NPG!). as meaning digital prints of digital files are acceptable i.e. "prints" is not limited to fine art hand pulled prints. Or maybe that hadn't occurred to anybody? Or maybe the curator didn't ask when she added these in late in the day. (I'm assuming this was a late curator initiative rather than somebody just forgot to include an artist in the catalogue!). That would certainly open up the exhibition to a flood of reproductions as opposed to original art. Maybe the exhibition organisers would like to think about a minimum price for work exhibited next year? 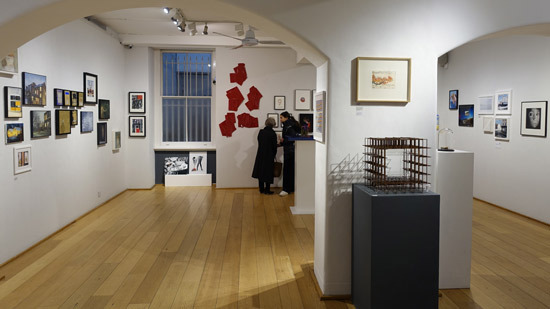 View of two thirds of the exhibition curated by Bridget McCrum. 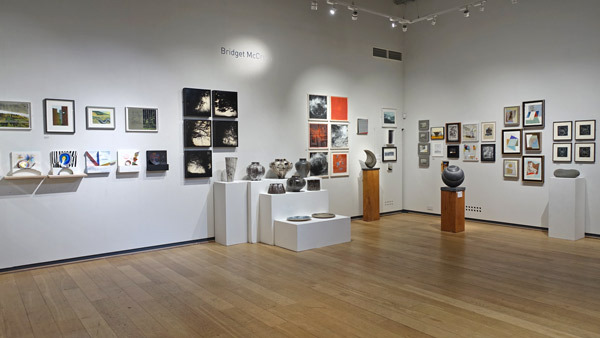 I particularly liked how Bridget McCrum curated and hung her exhibition. It had a discipline and aesthetic coherence about it which is sometimes lacking in this some of the individual curated exhibitions seen in this Exhibition. I also liked the stoneware by Ann Elliott. 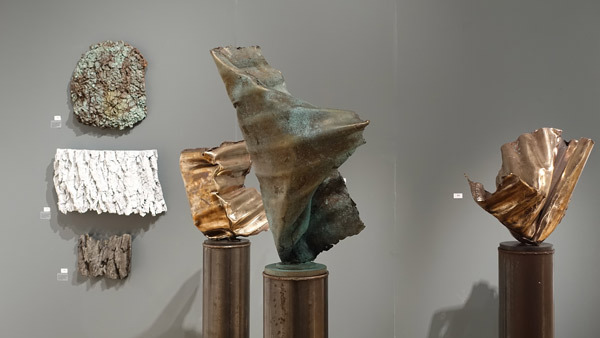 I guess if you invite a sculptor to participate it's not unusual if the percentage of works within the exhibition also devoted to sculpture and other 3D works also increases - and that's certainly happened this year. Not that I'm objecting - I'm very fond of good 3D work - and this year it represents c.30% of the work in the exhibition as a whole. John Benjamin Hickey is a US actor with an illustrious career on stage, on television and in film. He won a Tony Award for his role as Felix Turner in The Normal Heart (2011). In the UK he is widely known for his role as Neil Gross in the TV series The Good Wife and The Good Fight (2011-17). I liked a lot of his choices. 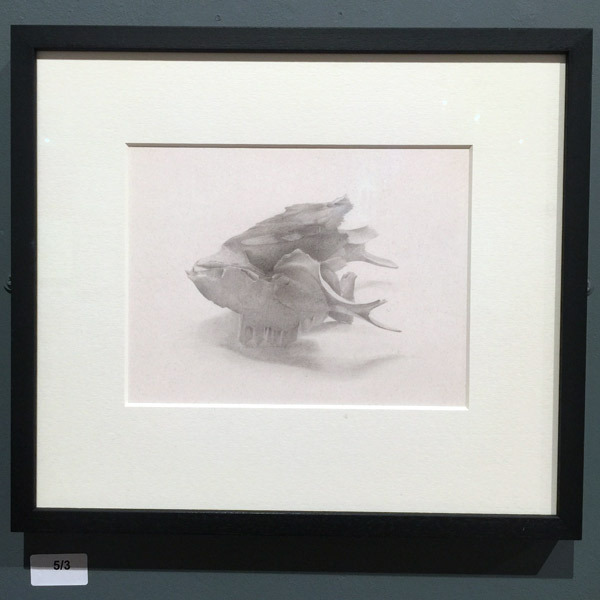 These included two graphite works by one of the former winners Susan Angharad Williams - who the ING Purchase Prize in 2007 with 'Still Life with Artichoke' - chosen by Charles Saumerez Smith - and who has been a regular exhibitor ever since. 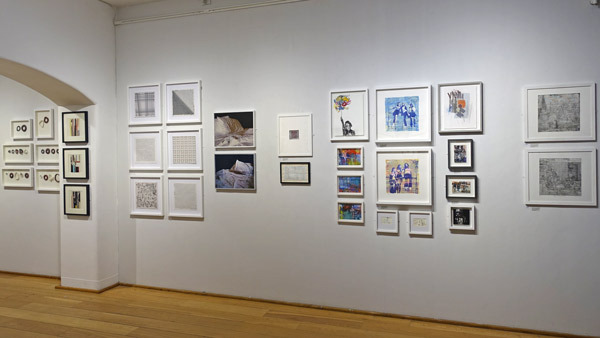 What's great about the exhibition this year is that you can see all the past prizewinners of ING Purchase Prizes at the entrance to the exhibition where they are displayed as a group. 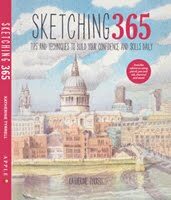 It's also great to follow up on artists and find out what happened after they won the prize. I remember talking to her after the prizes were awarded at the Mall Galleries - and like very many prizewinners she was wondering 'what next'. I was then invited to her solo show at the ING offices in The City after the exhibition at the Mall Galleries and we talked further. I also told her about a gallery in Chelsea that I thought might be very interested in her work, wrote a letter of introduction and she's now been with them for 10 years! Below is one of her two works for sale in the John Benjamin Hickey's section. Nick Ross - Was one of Britain’s best-known broadcasters for 30+ years. He was involved in launching the BBC’s Breakfast TV, Watchdog and Crimewatch programmes. Currently an international conference chair/moderator; member of a number of Panels, Committees and Working Groups, patron of a number of national charities, a non-executive director of Imperial NHS Healthcare Trust, and a high profile campaigner to cut UK road deaths, promote community safety, and encourage bioethics. There are some very divergent styles and types of artwork in this exhibition. 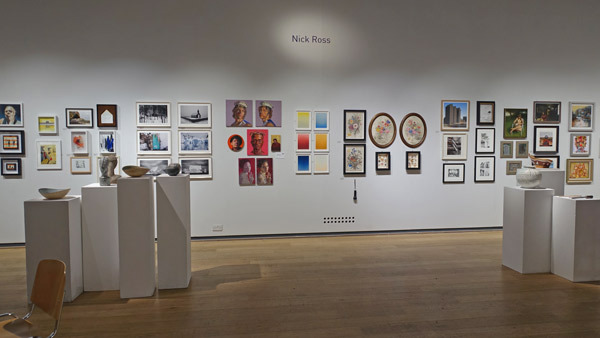 However Nick Ross is the curator who had achieved the highest number of sales (in terms of numbers) and the second highest (in terms of percentages of works displayed sold.). 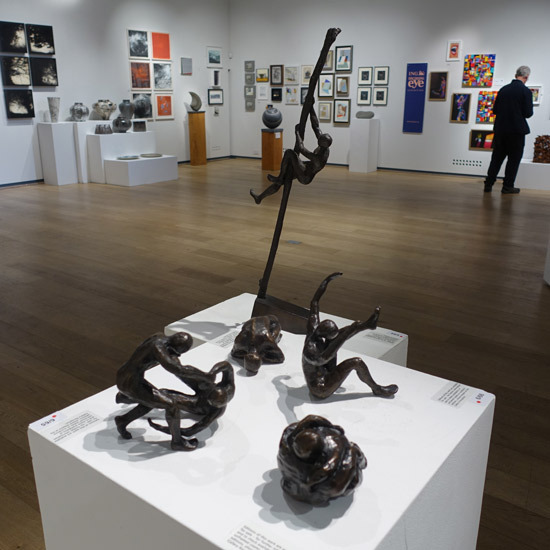 As of Tuesday 12 works out of 95 works displayed had been sold (12.6%) - including five works by one artist. Maybe because rather than imposing his personal style on the exhibition, he went with whatever he liked and/or appealed to his eye. Cherie Federico - From New York. Studied in UK then founded Aesthetica - an art and culture magazine covering contemporary art. Also the Director of the BAFTA recognised Aesthetica Short Film Festival. Her exhibition is in the North Gallery and although the work was diverse, the exhibition was very well hung and coherent. I particularly liked her monochrome section. It includes what looked like some interesting work - including some audio visual work. However I was not tempted to review it as I'm quite picky about not sharing earphones with the wider public. There was also no explanation about what it was about or who it was by. 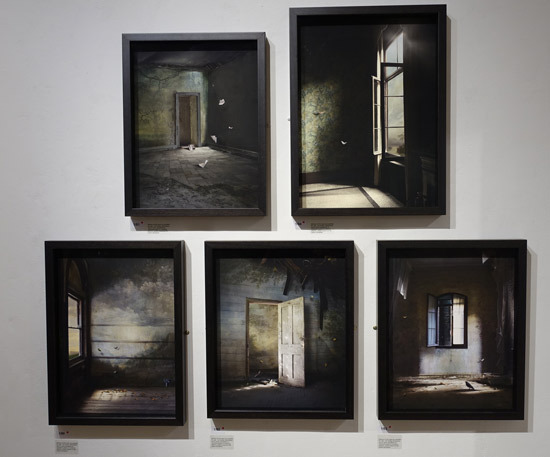 Suzanne Moxhay had been invited to display a suite of work about Interiors which looked as if it was much influenced by Andrew Wyeth. I thought they were hyperrealist paintings but it turns out from looking at her website that actually she creates intricate and complex photomontage images as archival digital pigment prints. This is an exhibit which would have greatly benefited from a small explanation on the wall about process. I now understand why they had all sold and assume this must have been to somebody who already knew her work. Frances Hedges - Editor of the journal of the Royal Society for the encouragement of Arts (RSA) before moving on to work for Elle Decoration (UK) then a number of other publications. Currently a contributing arts writer for Town & Country and Harper’s Bazaar magazines. I gather this exhibition looked better than I did when I saw it - due to the fact sculptures had been moved out of way for a life drawing class the previous evening which took place in the space. This exhibition had a somewhat graphic edge to it in terms of exhibits. Less the painterly paintings and more the hard edged graphic drawings. I'm struck by how many monochrome works are included in the exhibition - with some curators taking the trouble to create a monochrome section. These almost always look very effective - however the works are almost universally ones which have a strong design to their composition and read well at a distance. 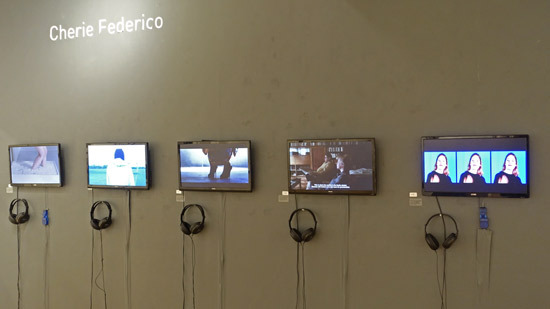 There are 77 works in the display. I didn't make a note of the sold works. 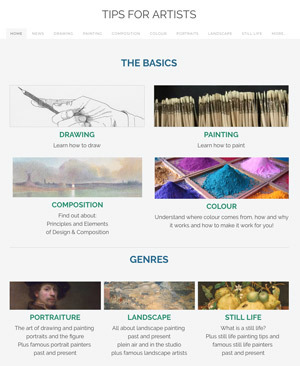 The Discerning Eye website maintains an archive. 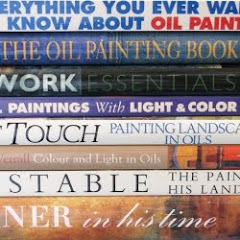 The following are all posts about the ING Discerning Eye competition/exhibition on Making A Mark over the last 11 years. In the 2018 exhibition 78% of the artists and 63% of the works are from the open submission. 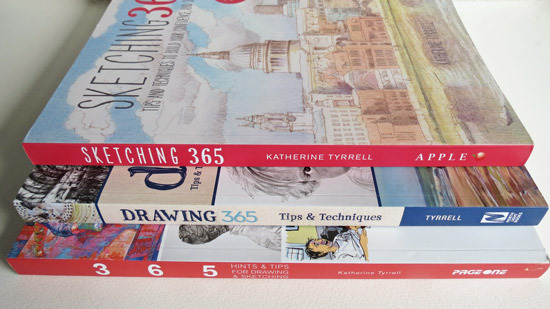 Painting and drawing make up over 47% of the works, mixed media and sculpture about 30%, printmaking about 13%, and photography and film about 10% this year. 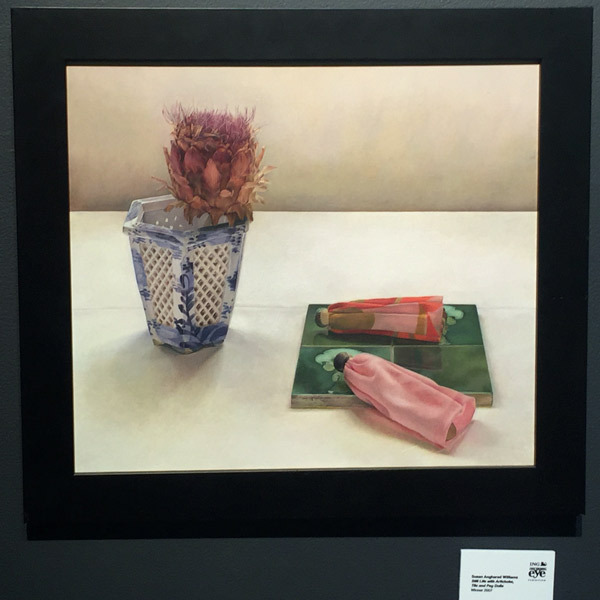 One of selectors wins £5,000 ING Discerning Eye Prize! The 2016 exhibition comprises over 700 works by over 400 artists. 70% of the artists and 60% of the works are from the open submission. Painting and drawing make up about 70% of the works, mixed media and sculpture about 13%, printmaking a further 7%, and photography about 5% this year. 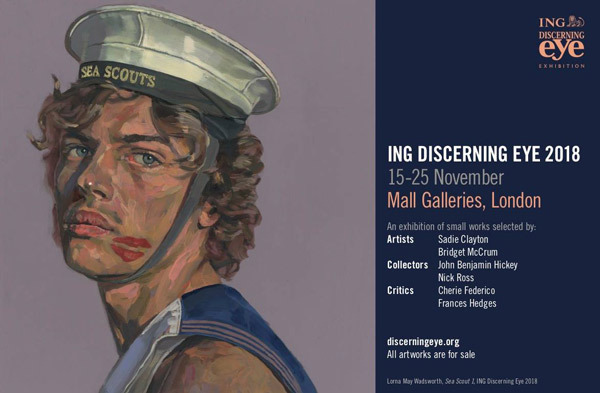 Who's been selected for the ING Discerning Eye 2008? 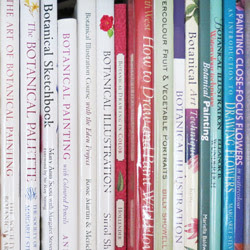 What is a semi-professional artist?